Beer cheese? When I started writing this description, I had forgotten that beer cheese is not a widespread dish. 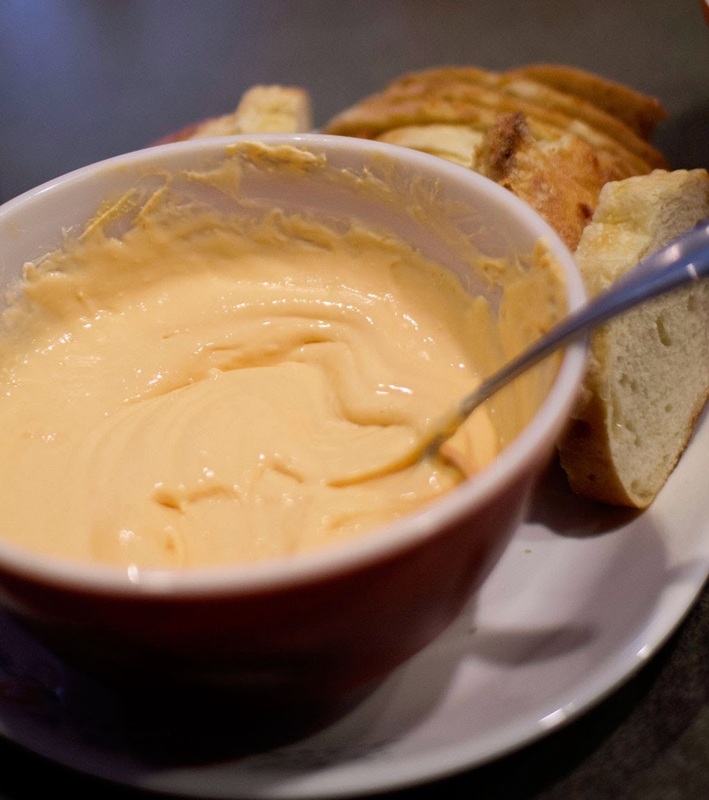 Beer cheese is a delicious dip of beer and cheddar cheese for dipping. This recipe is an all time favorite. I bring it to everything, it always goes over well, and it's easy to make. It's a family recipe from my aunt - so it's always at family gatherings. It's best when served with rye bread, pretzels, or a thick sourdough. And - it's vegetarian! Oh and kids love it as they totally think they can get drunk off of it. It's hilarious. Oops. I'm that relative. 1 Bottle Pale Ale or similar style beer. We use what is around. Wheat beers have worked well. Don't use dark beers though. Begin by getting a large mixing bowl and getting the cream cheese and cold pack cheddar into the bowl. Over a slow speed, start beating together, slowly adding the beer. Depending on your beer and personal tastes, you may not want to add the entire bottle. Taste as you go! The beer does NOT cook out of this as it is not cooked. Add in your spices at the end to taste. Once the mixture is smooth with no lumps, place in the refrigerator. To serve, buy a round sourdough or rye loaf, and cut a large square out of the center. Place the beer cheese in the newly created bread bowl, and cut the bread from the square you removed into chunks. Serve! I've never heard of beer cheese before! It certainly sounds interesting. mmmm I want this right this very second.